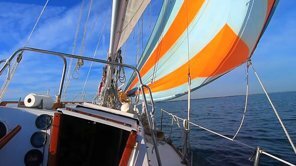 A great day out sailing aboard Calcutta with Joe and Peggy. Tampa Bay, December 2010. 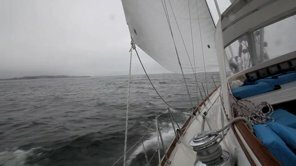 On board sv Remedios at the start of the Halifax -St Pierre Race. We were forced to retire after boom vang attachment to the mast failed.